I'm spending a day making candy for holiday gifts and would love for you to join me! As a result, I'm hosting a Holiday Candies Adventure. BLOGGERS: Join in the fun and share a candy recipe for this blogging adventure! 1) Make a candy recipe and create a blog post about it from now (the date of this post) until the midnight, December 6th. 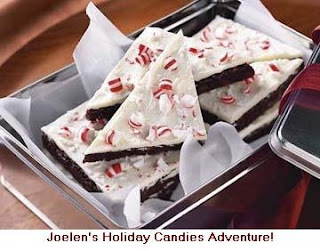 Any previous blog posts you have where you've created an candy recipe are happily accepted.